A Special 2 disc Collector’s Edition of Obsession, the Oscar-nominated 'Best Score' of 1975 for the Brian de Palma thriller starring Cliff Robertson and Genevieve Bujold. One of the finest film scores by Bernard Herrmann. DISC 1: Blu-ray™ Audio featuring 5.1 Surround Sound 24bit/96kHz mix and 2.0 24bit/96kHz mix plus video footage of the recording sessions. DISC 2: Standard CD Stereo Mix. 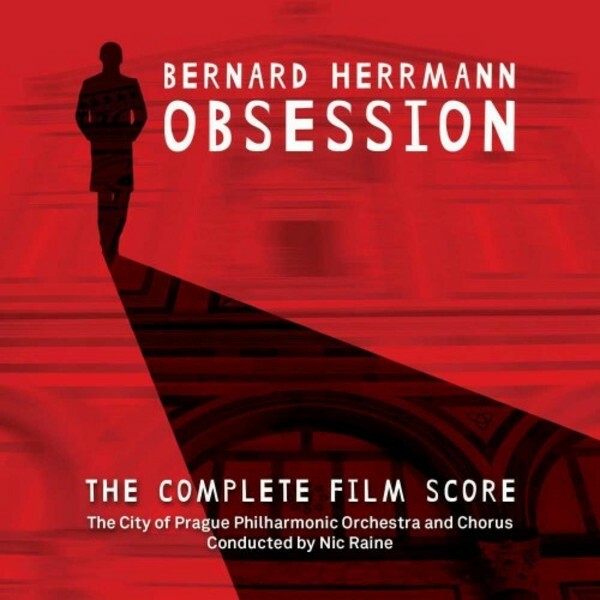 Newly recorded in stunning and dynamic digital sound, Obsession is performed by the acclaimed and award-winning City of Prague Philharmonic Orchestra and Chorus, conducted by Nic Raine. New score preparation from the composer’s original scores and sketches by Herrmann expert Christopher Husted. Includes a 16 page booklet with informative notes by Christopher Husted.